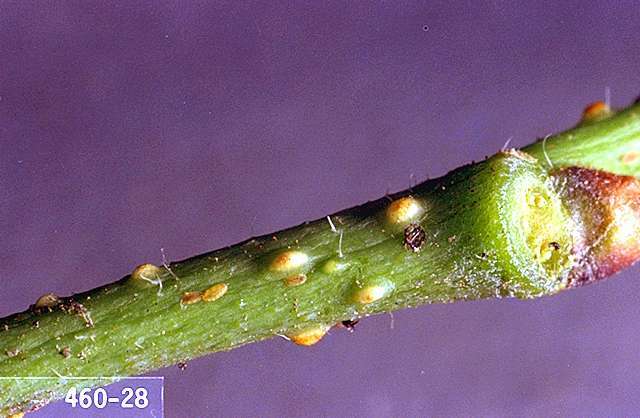 Pest description and damage Lecanium scale are most noticed as they expand in spring. As females swell, they produce considerable honeydew. 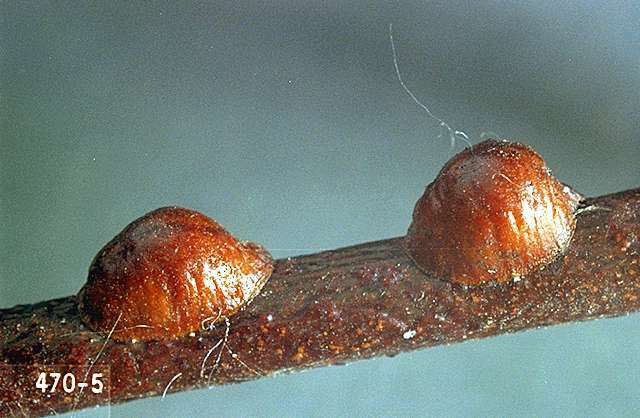 The female lecanium scale are about 0.13 inch in diameter and vary from red to dark brown in color. They are oval and raised, resembling small "helmets," "turtles," or bumps on branches, and stems. Male scale are smaller, fairly flat, and oblong. Crawlers are pale yellow, overwinter on stems.